This Wireless Internet Service & Equipment Rental Agreement ("Agreement") is made between NB Internet, LLC ("NB Internet") and you (referred herein as "you") and governs your use of the NB Internet Wireless Internet Service and the rental of related equipment and related features ("Services"). 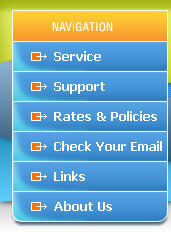 By establishing an account or using the Services, you agree to be bound by this Agreement and to use the Services in compliance with this Agreement and the NB Internet Acceptable Use Policy ("AUP") posted on NB Internet's website at http://www.nbinternet.com/acceptableuse.html, and incorporated herein. If you do not agree to all the terms and conditions of this Agreement and the AUP, including any future revisions of either this Agreement or the AUP, do not register or use the Services and if you are a current subscriber, you must terminate your use of the Services. NB Internet reserves the right to modify this Agreement and the AUP in its discretion at any time. Please check periodically for changes. Your continued use of the Services following the posting of any changes constitutes acceptance of those changes. The rates and charges for the Services shall be as set forth in accordance with NB Internet's rate schedule as in effect from time to time, a copy of which is available on the NB Internet website. Rates and charges are subject to change by NB Internet from time to time by notice to you provided with the Services or otherwise. You will be invoiced monthly for usage of the Services and for any other services utilized by you or other users of your account which are billed for by NB Internet in connection with the Services. You agree to pay all applicable rates and charges for the Services, including, without limitations, any applicable fees and taxes, by the due date set forth in your billing statement, and to pay any interest or late fees incurred for late payment. Delinquent accounts may be suspended or cancelled at NB Internet's sole discretion; however, charges will continue to accrue until the account is cancelled. NB Internet may bill an additional charge to reinstate a suspended account. NB Internet will have S&L Computer Services, Inc. (S&L), set-up and activate your account for wireless Internet access. A standard install consists of S&L installing antenna, outside or inside whichever is necessary, and cabling to “mechanical room/utility room”. Standard install is $99.00. Custom installs will be billed on a time and material basis. The following related services are not part of the set-up services and will be billed to your account. Internal networking, VPN’s, custom configuration, cabling and materials. This Agreement applies to you for as long as you remain a subscriber to any of the Services ("Term"). You may terminate this Agreement and your use of the Services at any time and for any reason by providing notice to the NB Internet.com business office via a telephone call or U.S. mail, after 12 consecutive months of Service. Early termination penalty is 50% of remaining contract. Without prior notice, NB Internet may terminate this Agreement, your password, your account, and/or your use of the Services, for any reason, including, without limitation, if you fail to pay any charges when due or, if NB Internet, in its sole discretion, believes you or someone using your account has violated this Agreement or the AUP. All terms and provisions of this Agreement which should by their nature survive the termination of this Agreement shall so survive among other things, the AUP prohibits sending unsolicited e-mail messages, including bulk commercial advertising or informational announcements ("Spam"), and NB Internet will immediately terminate any account which it believes, in its sole discretion, is transmitting or is otherwise connected with any Spam. You agree to pay NB Internet's actual damages in any way arising from, or related to, any Spam transmitted by, or in any way connected to, you, to the extent such actual damages can be reasonably calculated. If actual damages cannot be reasonably calculated, you agree to pay NB Internet liquidated damages of five U.S. dollars ($5.00) for each piece of Spam transmitted from, or otherwise connected with, your account. 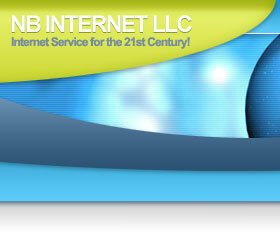 NB Internet may elect to send notice of any violations to you before termination, but is not required to do so. When an account has been terminated or suspended, the reactivation of the old account or the acquisition of a new account will only be allowed by the express approval of NB Internet. The account may be held responsible for any charges associated with installation or activation, whether it is for a new account, or a suspended or terminated account. You agree that you will be the only user of your user name and password and that you will not transfer or disclose either your user name or password to any other person, except that you may at your own risk and responsibility permit other members of your family or business associates to access the Services using your user name and password. You shall ensure that any such users comply with this Agreement and the AUP and you will be responsible for all usage of the Services and any other services accessed through the Services on your account whether or not authorized by you. You acknowledge that you are aware that certain content accessible through the Services may contain material that is unsuitable for minors. You agree to supervise any minor's use of the Services through your account. Using a personal account for commercial, high volume, or any excessive use is prohibited. If your use impacts NB Internet's ability to provide Services or network resources, your use of the Services may be terminated immediately. Your mailbox storage space is limited and such limits are listed on the applicable page at http://www.nbinternet.com/rates/limits.html. When a mailbox reaches the limit, you will not be able to receive e-mail. NB Internet has no obligation to monitor the Services, but may do so and disclose information regarding use of the Services for any reason if NB Internet, in its sole discretion, determines that it is reasonable to do so, including, without limitation, to: (i) satisfy laws, regulations, or governmental or legal requests; (ii) operate the Services properly; or (iii) protect itself and its customers. You have the responsibility to monitor your accounts for access to newsgroups and websites that may contain improper material. You will notify NB Internet of the continual receipt of e-mail that you view as illegal or that is unsolicited. You must not design or provide systems used for the collection of information about others without their explicit knowledge and consent. LIMITATION OF LIABILITY. YOU ASSUME TOTAL RESPONSIBILITY FOR USE OF THE SERVICES AND THE INTERNET AND ACCESS THE SAME AT YOUR OWN RISK. NB INTERNET EXERCISES NO CONTROL OVER AND HAS NO RESPONSIBILITY WHATSOEVER FOR THE CONTENT ACCESSIBLE OR ACTIONS TAKEN ON THE INTERNET AND NB INTERNET EXPRESSLY DISCLAIMS ANY RESPONSIBILITY FOR SUCH CONTENT OR ACTIONS. NB INTERNET SHALL NOT BE LIABLE TO YOU FOR ANY DIRECT, INCIDENTAL, INDIRECT, SPECIAL, RELIANCE, OR CONSEQUENTIAL DAMAGES OF ANY KIND INCLUDING, WITHOUT LIMITATION, ANY LOSS OF USE, LOSS OF BUSINESS, LOSS OF PROFIT, LOSS OF INFORMATION OR DATA, OR INTERRUPTED COMMUNICATIONS, ARISING OUT OF OR RELATED TO THIS TERMS OF SERVICE. UNDER NO CIRCUMSTANCES WILL NB INTERNET BE LIABLE TO YOU OR ANY THIRD PARTIES FOR AN AMOUNT GREATER THAT THAN THE TOTAL AMOUNT OF FEES PAID BY YOU FOR THE SERVICE DELIVERED HEREUNDER DURING A SIX MONTH PERIOD. DISCLAIMER OF WARRANTIES. 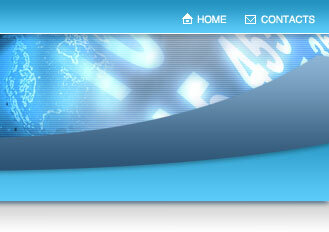 THE SERVICES ARE PROVIDED ON AN "AS IS" AND "AS AVAILABLE" BASIS. NB INTERNET MAKES NO WARRANTY OF ANY KIND, WRITTEN OR ORAL, STATUTORY, EXPRESS OR IMPLIED, INCLUDING, WITHOUT LIMITATION, ANY WARRANTY OF MERCHANTABILITY, INFRINGEMENT, OR FITNESS FOR A PARTICULAR PURPOSE. NB INTERNET DOES NOT WARRANT THAT THE SERVICES WILL BE UNINTERRUPTED, ERROR-FREE, OR FREE OF VIRUSES OR OTHER HARMFUL COMPONENTS. NO ADVICE OR INFORMATION GIVEN BY NB INTERNET, ITS AFFILIATES OR ITS CONTRACTORS OR THEIR RESPECTIVE EMPLOYEES SHALL CREATE ANY WARRANTY. You assume all risk of loss and damage to the wireless equipment from any cause whatsoever. In the event of loss or damage to the wireless equipment during the lease term, at the option of NB Internet, your shall either (a) replace the equipment; or (b) pay NB internet the fair market value for the equipment (as determined by NB Internet). You agree to indemnify, defend, and hold harmless NB Internet and its subsidiaries, affiliates, officers, employees, agents, suppliers, or other partners from any and all third party claims, liabilities, costs, and expenses, including reasonable attorneys fees, arising from your use of the Services, your violation of this Agreement, or your violation of any rights of another. Arbitration Agreement: You and NB Internet agree that any dispute or claim arising out of or relating to the Services or this Agreement (whether based in contract, tort, statute, fraud, misrepresentation or any other legal theory) will be resolved by binding arbitration. Arbitration Procedures: Before commencing arbitration you must first present any claim or dispute to NB Internet in writing to allow NB Internet the opportunity to resolve the dispute. If the claim or dispute is not resolved within 60 days, you may request arbitration. The arbitration shall be conducted in accordance with the American Arbitration Association Comprehensive Arbitration Rules. The Federal Arbitration Act, 9 U.S.C. Sections 1-16, not state law, shall govern the arbitration of the dispute. North Dakota state law, without regard to choice of law principles, shall otherwise govern and apply to any and all claims or disputes. All arbitration proceedings and hearings shall take place in District Court, Cass County, North Dakota. Arbitration is final and binding. Under the AAA Rules, there may be no right to pre-arbitration discovery. Any arbitration shall be confidential, and neither you nor NB Internet may disclose the existence, content or results of any arbitration, except as may be required by law or for purposes of enforcement of the arbitration award. The arbitrator's award shall be in writing, but is not required to include factual findings or legal reasoning. Judgment on any arbitration award may be entered in any court having jurisdiction. Each party shall pay its own expenses of the arbitration, including attorneys fees. Costs of Arbitration: The party requesting arbitration must pay the applicable AAA filing fee. All other AAA administrative fees will be divided equally between you and NB Internet. Each party will bear the expense of its own counsel, witnesses, preparation, and presentation of evidence at the arbitration. Waiver of Class Action: By this Agreement, both you and NB Internet are waiving rights to litigate claims or disputes in court, including the right to a jury trial. You further waive any right to pursue any claim on a class or consolidated basis or in a representative capacity. This Agreement and the AUP constitute the entire agreement between you and NB Internet with respect to your use of the Services. NB Internet may assign this Agreement and your rights and obligations under this Agreement, in whole or in part, at any time without notice to you. You may not assign this Agreement without NB Internet's prior written consent. Neither party's failure to insist upon strict performance of any provision of this Agreement shall be construed as a waiver of any of its rights hereunder. If any provision of this Agreement is held to be unenforceable, the unenforceable provision shall be construed as nearly as possible to reflect the original intent of the parties and the remaining provisions shall remain in full force and effect. The terms, representations, warranties, agreements and covenants of the parties set forth in this Agreement are (a) intended solely for NB Internet and its affiliates and you and (b) they shall not benefit or be enforceable by, any other person or entity.